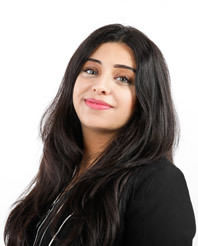 Kiran Malik is a Law graduate from Manchester Metropolitan University, and is currently in the process of completing her MSc LPC at the University of Law in Guildford. She has chosen modules in Mergers and Acquisitions, Employment Law and Commercial Law and hopes to one day become a qualified solicitor. She currently assists both Jayne and Hannah and is gaining a vast array of skills splitting her time between the Residential Conveyancing and Commercial Property departments.